Established in 1979, Benefit Controls is a privately held Southeastern corporation with offices nationwide, and that continues to experience steady growth. Our philosophy is simple — deliver outstanding service consistently. When it comes to designing and managing employee benefits, employers have a lot to consider. We develop partnerships with our clients so that we can work with them to conserve costs, enhance benefits, and ensure quality. We only work with financially sound companies that maintain high ratings by A.M. Best, the insurance industry's leading evaluator. We specialize in meticulous evaluation of consolidation of benefit offerings and see ourselves as an extension of the human resources department of our clients. Today, Benefit Controls is responsible for more than $150 million in benefit products. Our offices serve 400 corporate accounts and cover over 200,000 employees. We are known as an upfront, proactive, honest, and capable company. No client is a number; you enjoy the special attention, personal touch, and customized services that match your unique needs. When you call us, you don't have to worry about getting transferred, and if we don't have the answer to your question at our fingertips, you can be confident that we will get back to you with an answer within an hour. As your employer advocate in benefit solutions, our experienced benefits consultants out more than 30 years of experience, marketplace knowledge, and a proven approach to meeting needs to work for you. Consultants within our organization have spoken at numerous benefit seminars, trade shows, local and state SHRM conferences and have been quoted in Business Insurance Magazine and Health Care Buyer Magazine among others. Our consultants currently serve in many leadership capacities in organizations that support our industry. Place the interests of our clients ahead of our own and serve them with the highest degree of integrity, honesty, and competence. Ensure that our employees do not and will not receive any inducement or rewards for any particular business decisions. Provide each client with exceptional professional advice and guidance, superior customer service, timely responses and innovative ideas and solutions. Employees have an obligation to observe the highest standards of professional conduct in the course of providing advice, recommendations and other services performed for our clients. Treat each client with respect and dignity. Serve each client in a conscientious and diligent manner. Hold in strict confidence, all the information acquired in the course of the relationship concerning the business and affairs of our clients. Employees will not divulge any such information unless authorized to do so by the client. This applies to employees during their tenure with Benefit Controls and thereafter. Maintain the required Continuing Education requirements set forth by National Departments of Insurance. Improve professional skills and knowledge through seminars, professional associations and other business relationships. Jamie Corey is a Vice President with Benefit Controls of South Carolina in the Greenville SC office. Jamie is a graduate of UNC-Chapel Hill and has thirty-five years of experience in employee benefits and group insurance, starting with the group department of Provident Life & Accident in underwriting then sales and account management. Consulting & broker experience came from the Charlotte office of Johnson & Higgins, an international firm headquartered in New York. Jamie helped found Healthcare Solutions in 1992, a firm specializing in the creation and management of customized “narrow” networks for employer sponsored self-funded health plans. Jamie has extensive experience negotiating contracts with health care providers from primary care to hospitals throughout the South and Mid-Atlantic. These networks were a precursor to today’s high performing networks. Jamie joined Benefit Controls in 2007 and works as a broker & consultant in account management & sales. Karmen is originally from Texas, then moved to Washington State to work Sales in the manufacturing industry. Karmen then moved to SC in 2014 for family reasons and attended college. Karmen joined our agency in 2016, she has 7 years of sales, 4yrs in marketing, and 4yrs of office management experience. Outside all her experience, she has chosen to stay with Benefit Controls of SC, Inc. in the insurance brokerage industry as her career. Over the past 2 yrs. she has been working with us here, she has grown very knowledgeable in the insurance industry and advanced her sales skills by being determined and building long lasting business relationships. Her knowledge and customer skills are very important in our industry and she enjoys working with our clients and the community. She strives to be the best benefits relationship specialist and sales associate. Hester joined our agency in 1998 with 15 years of prior knowledge in the insurance industry. She obtained her Life, Health and Accident License in 1988 and completed her LUTCF designation in September 1993. Hester is involved in all aspects of sales from the first meeting to finalizing the client's needs. 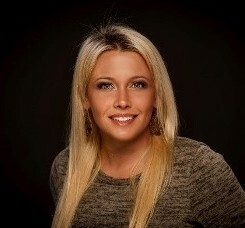 She is our renewal specialist as well as our Lead Account Executive. She also assists other agents with sales. Her knowledge and customer skills are very important in our industry, and she enjoys helping to solve our clients' needs. 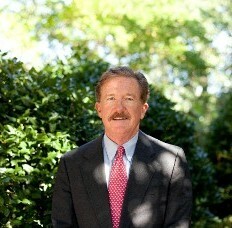 Jamie Corey is a President with Benefit Controls of South Carolina in the Greenville SC office. Jamie is a graduate of UNC Chapel Hill and has thirty five years of experience in employee benefits and group insurance, starting with the group department of Provident Life & Accident in underwriting then sales and account management. Consulting & broker experience came from the Charlotte office of Johnson & Higgins, an international firm headquartered in New York. Jamie helped found Healthcare Solutions in 1992, a firm specializing in the creation and management of customized “narrow” networks for employer sponsored self-funded health plans. Jamie has extensive experience negotiating contracts with health care providers from primary care to hospitals throughout the South and Mid-Atlantic. These networks were a precursor to today’s high performing networks. Jamie joined Benefit Controls in 2007 and works as a broker & consultant in account management & sales. 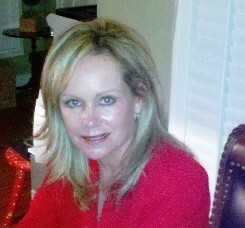 Colleen is President of Benefit Controls of the Southeast Inc. in Charleston, SC. 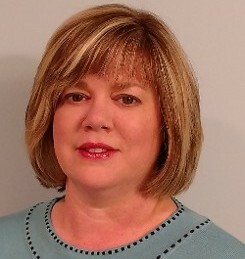 For 23 years she has provided consulting in Group, Life, Disability, Medical and Dental programs, insured and self-insured, to employers ranging from 50 to 2,500 employees. Prior to Benefit Controls, Colleen worked with Blue Cross and Blue Shield of SC and Providence Hospital developing Wellness Services. She has 33 years of combined experience in benefit plan consulting and wellness plan development. Colleen holds a BS degree in Health Sciences and a Master’s degree in Public Health from the University of South Carolina. She is an active Rotarian with the Downtown Historic Rotary Club of Charleston and resides on James Island. Carl Sharpe is President/CEO of Benefit Controls of the Triad located in High Point NC. He received Bachelor’s Degree in Human Resource Management from Central Wesleyan University. Had 20-year career in HR prior to opening Benefit Controls office in High Point, achieving Senior Professional in HR status from Society for Human Resource Management (SHRM). Since 1993, he has provided consultation advice to group clients, individual clients, and Medicare clients primarily in NC and SC. Carl Sharpe and wife Dru currently live in Thomasville NC and Little River SC with their beloved GSP Carle. Shannon Reddick is the Sales and Account Manager for Benefit Controls of the Triad located in High Point, NC. 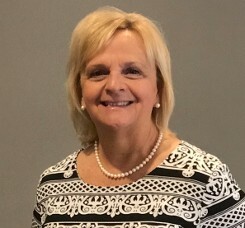 She joined the company in March of 2016 and has since obtained her Life, Health and Accident License, as well as Medicare and Long-Term Care license. Shannon provides consultation advice to small and large group clients, individual clients, and Medicare clients primarily in NC. Andy joined Benefit Controls in 1992 as a Group Service Specialist. Through the years, he worked his way up to Senior Account Manager, responsible for both sales and service. In 1998, he was promoted to President and subsequently purchased Benefit Controls, Inc. During his tenure as President Benefit Controls has experienced a 106% increase in business through a commitment to service, dependability and integrity. 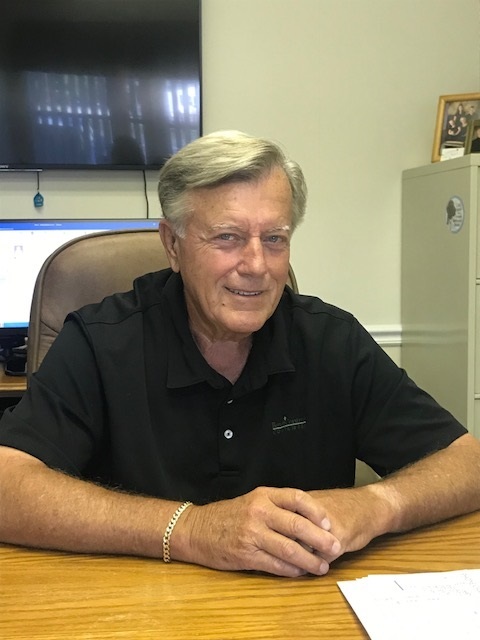 A graduate of UNCC I have been in the sales industry since 1978 with such firms as Eisenhardt, Collins and Aikman and Coca-Cola, rising to the level of Division Director of Sales. In 2002 I joined Benefit Controls, Inc. in Charlotte, NC. Over the past 15 years we have been experienced steady growth in sales and take a special interest in keeping up to date in compliance and the every day changes in the insurance industry. Our focus has and will always be on providing a level of personal service not found with most brokers or your major consulting firms. Our commitment is we will treat you as a personal client and not just a number.